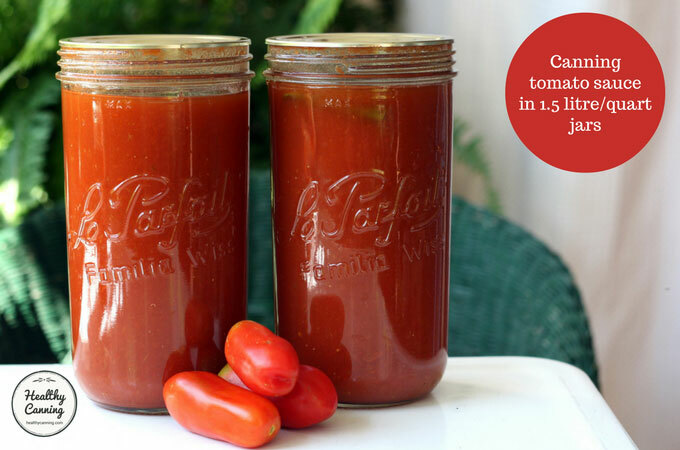 The Ball / Bernardin Complete book has a tested recipe for canning tomato sauce in large 1.5 litre / quart jars. The jars can really deal with a bumper crop of tomatoes like nobody’s business. 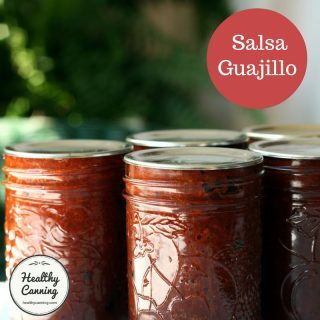 This recipe is designed for jars with two-piece lid systems. 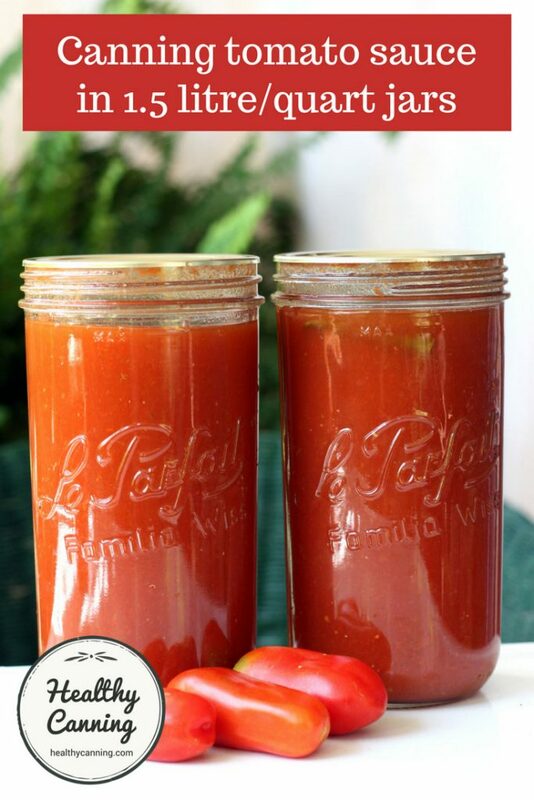 We used the 1.5 litre / quart Mason-style jars from Le Parfait, in their “Familia Wiss” line of jars. The jars are solid, high-quality glass as would be expected from the Le Parfait name, and the heavy-duty flat metal sealing lids provide a firm seal once the canning ring is removed. To be clear, the USDA and National Center for Home Food Preservation (NCHFP) do not have access to the lab data from the testing on this size of jars, only Ball / Bernardin labs do, so you need to approach them with any questions, not the NCHFP. 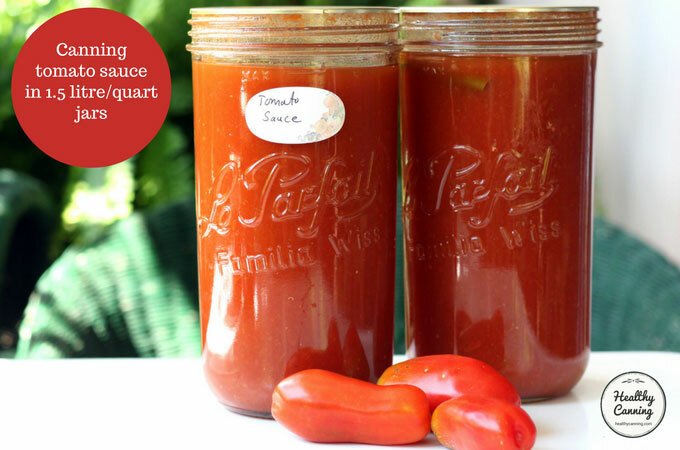 For tomato sauce in regular-sized jars, see Canning plain tomato sauce. 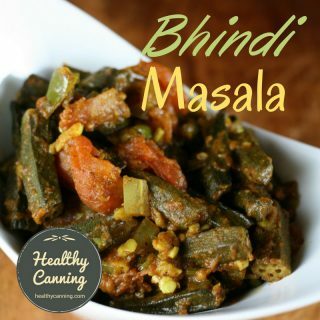 Thin sauce: You will need about 3.5 kgs (7 lbs) per 1.5 litre jar. 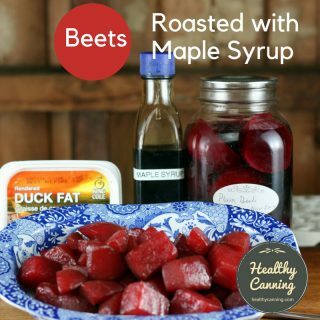 Thick sauce: You will need about 4.5 kgs (10 lbs) per 1.5 litre jar. Wash tomatoes. No need to peel or seed. Take 6 of the tomatoes. Quarter them, and place in large pot. Use potato masher to crush the tomatoes to release the juices. Lower heat to a steady boil. Stirring the pot frequently, continue quartering and adding the remaining tomatoes as you quarter them. When all tomatoes are in, let the pot boil for a further 10 minutes. Tomatoes at this point should be juicy and soft. Remove pot from heat. Let cool a bit if desired. Strain the tomatoes a batch at a time to remove the skins and seeds. You can do this by pressing through a sieve or strainer, or passing through a food mill. Put strained juice into a pot. Bring juice to a boil, then reduce heat to a medium simmer, uncovered, until sauce reaches desired thickness. For a thin sauce, reduce volume by one-third. For a thick sauce, reduce volume by one half. This can take hours depending on the quantity of sauce you are using. The wider the saucepan or pot you have it in, the more efficient your evaporation rate will be. Aside from that, there really is no magic bullet to date to do this. When the sauce has reached your desired thickness, you can proceed to can it. 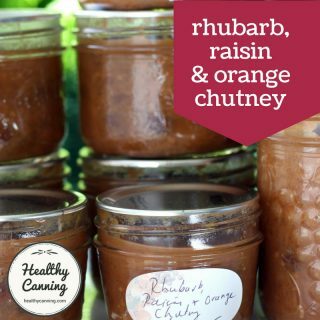 ACIDIFY: To each 1.5 litre (quart) jar that will hold tomatoes, first add EITHER 3 tablespoons of bottled lemon juice OR 3/4 teaspoon citric acid. SEASON (Optional): To each 1.5 litre (quart) jar, optionally add 1 1/2 teaspoons of either salt OR non-bitter, non-clouding salt sub. SEASON (Optional): Add up to 1 1/2 teaspoons of dried herbs. Suggested is either all of one or a mix of the following: dried basil, dried oregano, dried thyme, or Italian seasoning. Dried marjoram would also be acceptable. SEASON (Optional): Add a fresh, well-washed, unblemished basil leaf to each jar. Ladle hot sauce into jars. Leave a generous 2 cm (1/2 inch) headspace. Process jars for 50 minutes; increase time as needed for your altitude. When water-bath canning , you must adjust the processing time for your altitude. The steam canning researchers recommended that no canning over 45 minutes be done in the classic top-hat style steam canners because they might run out of water. 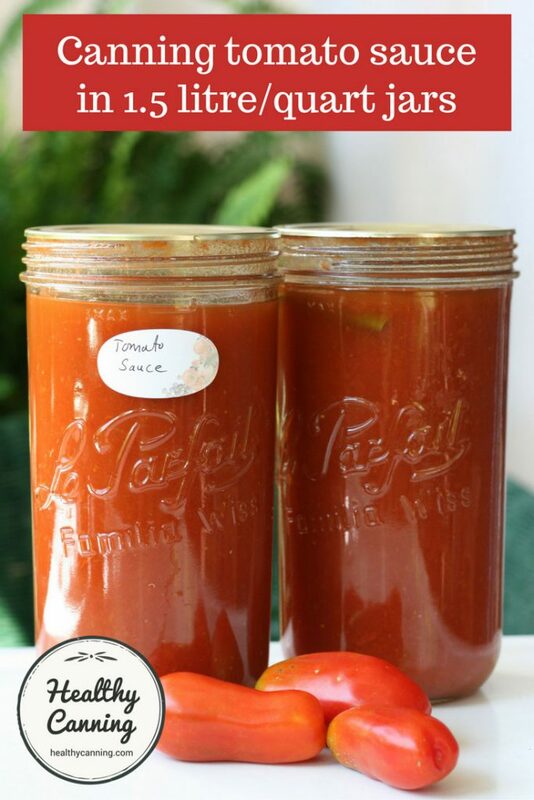 The reason for what seems to be the painstaking way to add the tomatoes is actually to prevent separation of solids and water in the jars after canning. The gradual process kills an enzyme that would cause this. The reason you add the lemon juice or citric acid first is that often in the “heat of things” while packing jars, people forget which jars they acidified and didn’t. By making it always your first step, you always know. Note this procedure is NOT certified for 2 quart jars, only 1.5 litre / quart jars. 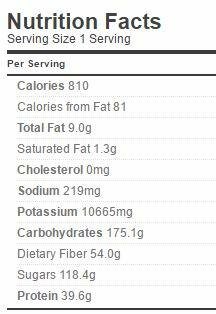 All home-canned tomato sauce must be acidified or it’s not safe for consumption. 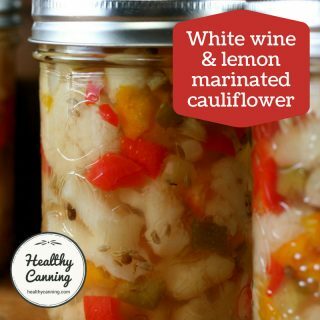 The added acidity ensures a pH below 4.6, which prevents botulism spores from germinating. 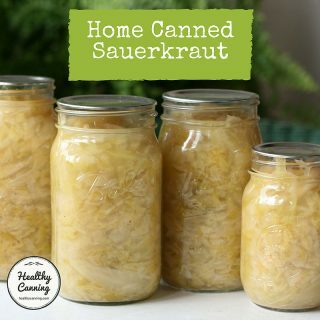 There is no pressure canning alternative for this jar size. Kingry, Judi and Lauren Devine. Ball / Bernardin Complete Book of Home Preserving. Toronto: Robert Rose. 2015. Page 362.